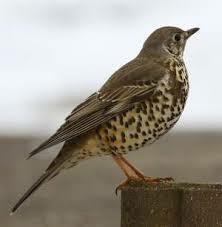 Another resident all-year round is the Mistle Thrush, a name which as I was born in Yorkshire I call a ‘mizzle’ thrush. A beautiful large spotted bird, seen in winter defending berry-laden trees from other birds. Often seen on the ground searching for worms, seeds, invertebrates and berries such as haws, we also see Mistle Thrushes around the fruit trees. 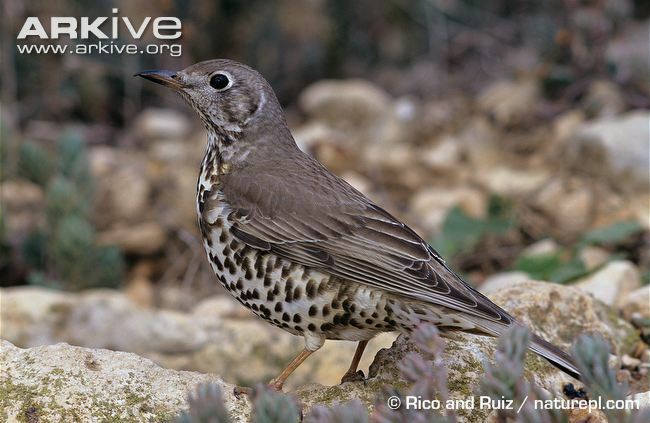 To hear the song of the Mistle Thrush, and to read more about it, click here for the RSPB. To tell the difference between the Song Thrush and the Mistle Thrush, watch this film by the British Trust for Ornithology. This entry was posted in Nature and tagged Andalucia, birds, living abroad, nature, Sandra Danby, Spain on November 24, 2015 by sandradan1. I like that speckled belly – friendly looking chirper. Thanks for the photo and the info – we don’t have these in the States, least not in California. And I love all the bird posts. And what a lovely song it makes! Thanks for the link, Sandra. We’re celebrating Thanksgiving in a few days, an American holiday based on a bit of history, lots of food, and family and friends coming around. Enjoy your November’s end in Spain – I think you don’t usually get snow in Andalucia, right? But it can be cold?